Well, not officially (even though it should be), but apples are definitely everywhere this month. And, I love it! 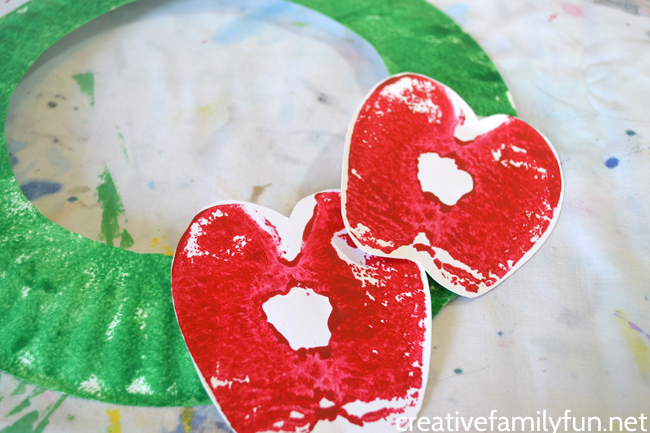 I love crafting and decorating with apples and so do my kids. 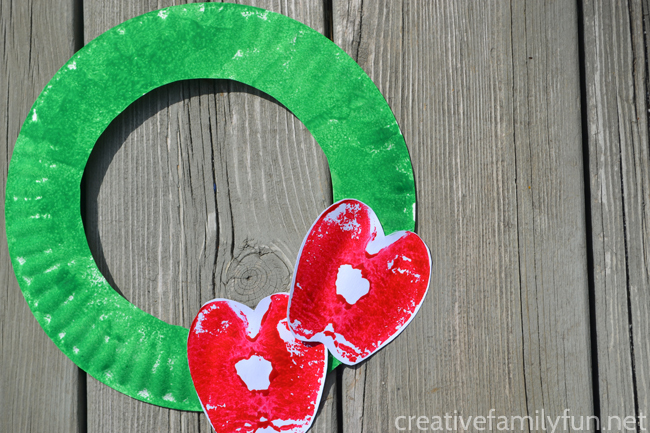 So, we had a little fun with apple prints to make this Apple Print Wreath. This simple fall kids craft is fun for kids from preschool through elementary school. It’s easy to make and uses only a few easy-to-find supplies. 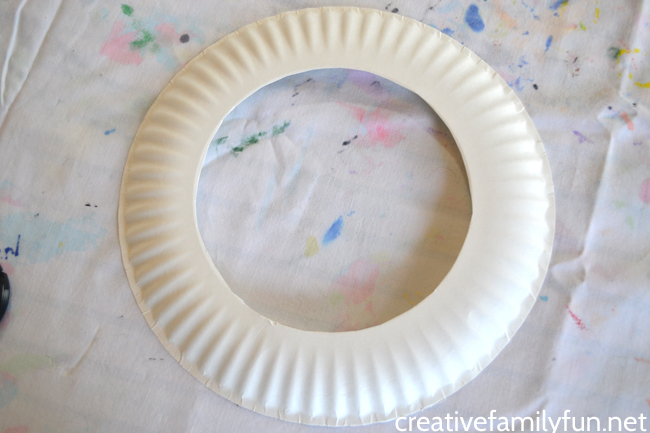 Before beginning this craft, a grown-up needs to cut the middle out of the paper plate. Save the middle for a future craft. First, you’ll need to paint your paper plate green. 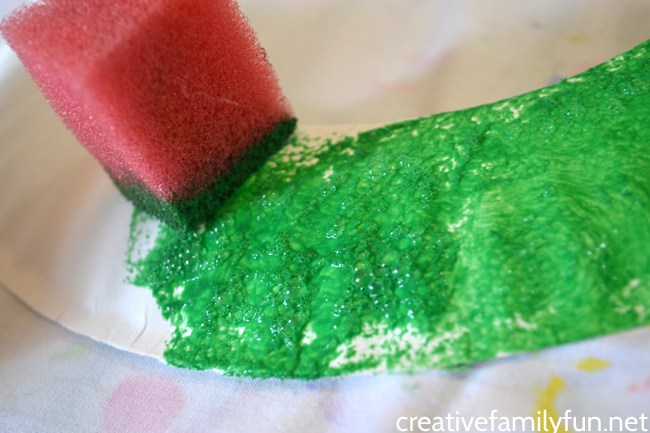 We used a small piece of sponge to dab green paint on our plate. You can certainly just paint your paper plate with a paint brush, but I thought the sponge gave this wreath a fun texture. 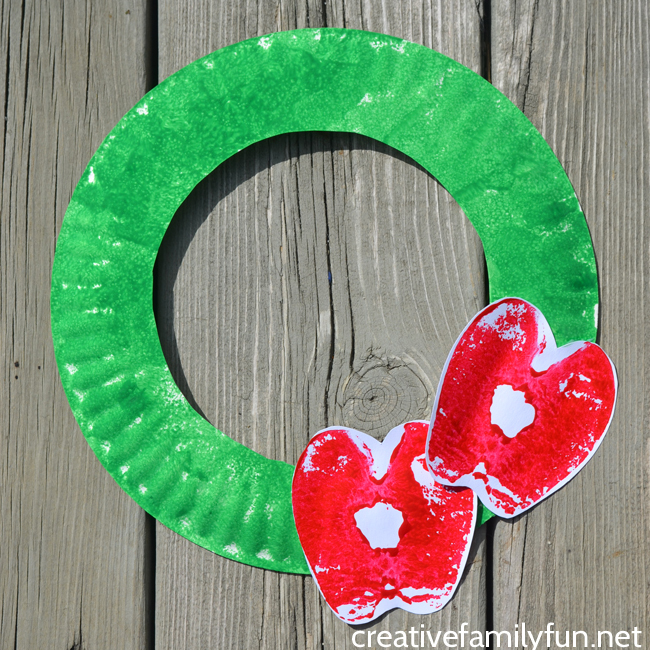 Once you’ve painted your paper plate wreath, set it aside to dry. Now it’s time for the apple prints. A grown-up will want to slice an apple in half. Cut it vertically from top to bottom in order to get the fun apple shape. Dry off your apple a bit with a paper towel and paint red paint on your apple slice. Paint quickly and put it on thick because the apple will soak up the paint. 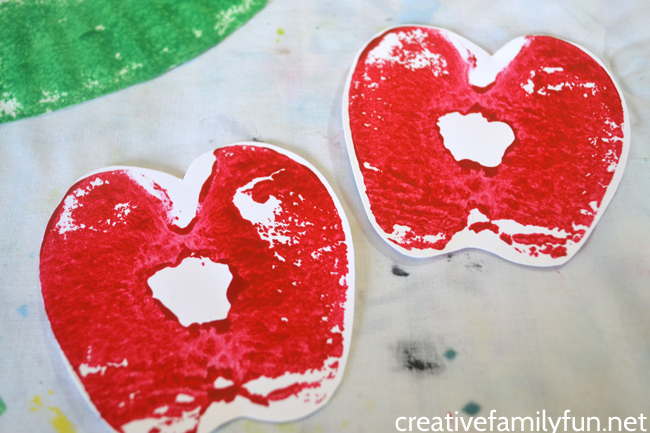 Make two apple prints on your card stock. You’ll need to add more paint between each print. Press down firmly for several seconds and then lift up. Let your apple prints dry. Once everything is dry, cut out your two apple prints. Arrange them on your paper plate wreath and glue them down. Once your glue is dry, it’s time to hang up your wreath and enjoy your apple decoration. 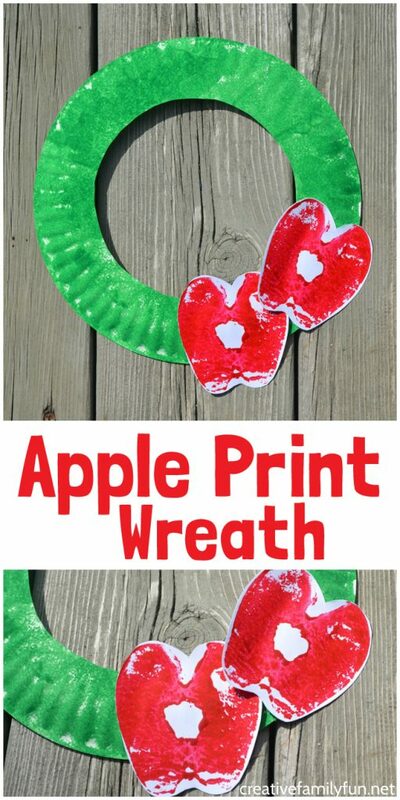 If you enjoyed this A is for Apple Print Wreath, the above photo is perfect for sharing on Facebook or you can save the picture below on Pinterest.